2016 has been a good year for BHA, and we should all be proud of our individual and collective barbershop achievements. Whether that means you sang in a quartet for the first time, learned your notes and words of a new song in record time, or contributed to your Club in a significant way, it doesn’t matter. The goal is to continually find something to do better than you have before, and to have pride in that effort. The Annual General Meeting has just been and gone, and the Motions carried were 7, and 9, while Motion 8 was defeated. The National Council continues to take all views into account when making decisions, but will always defer to the wishes of the majority of members. The AGM Results have been sent to Clubs and lodged on the BHA website (Click Downloads/Tab) here, while the Minutes will follow in due course from the Secretary. As promised, the Secretary has compiled the Minutes from the BHA Forum held in Newcastle, and interested members can view these on the BHA website (Click Downloads/Minutes tab) or by clicking here. The introduction of a new Incorporated Associations Act in Western Australia (the home base corporately for BHA) will require a re-write of our Constitution to bring it in line with the new Act. Members will be asked to vote on that at a Special General meeting to be held about mid-2017. Next year will be an exciting year with a Pan Pac Convention in Sydney, and the opportunity for camaraderie with our Pacific brothers from New Zealand, Japan and elsewhere. Congratulations to two of our founding members, Bruce Okely and Andy Aberle, who have been honoured recently. An article about Andy appeared in the last newsletter, while there is an article about Bruce in this newsletter (click here). 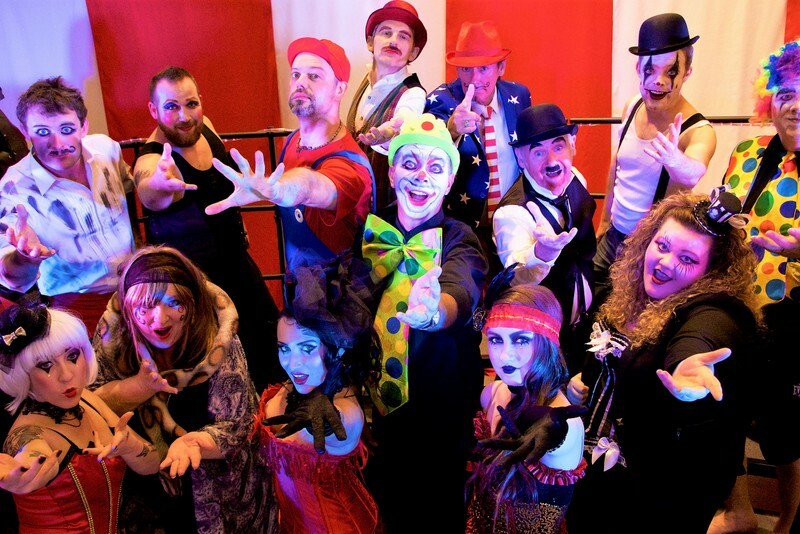 You may have heard of Vocal Evolution’s new show, “Funhouse” to be staged at the Perth Fringe Festival next February. Hope you like the photo below taken at rehearsal recently. As the festive season approaches, on behalf of the National Council, I wish you a Merry Christmas! May you have a bright and successful New Year.